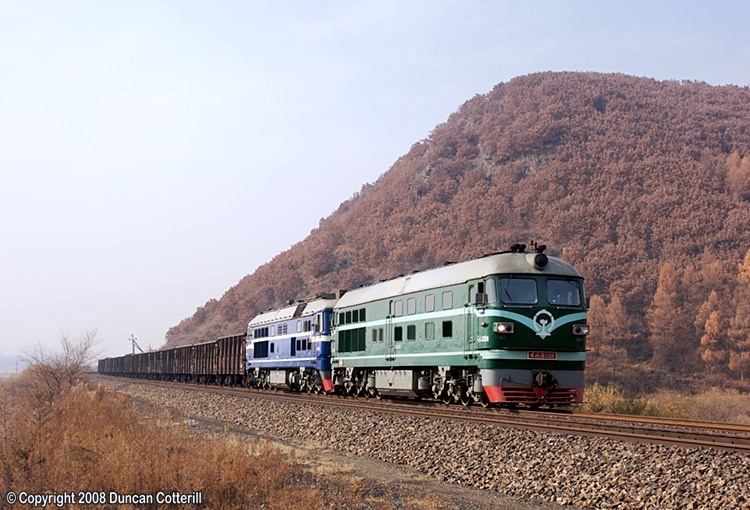 The double track main line from Mudanjiang to Harbin is one of the busiest in the North-East with heavy coal traffic from the Jixi and Qitaihe coalfields predominating. DF4 9308 and DF8 0081 were paired on a train of empties heading back to the coalfields on 15 October 2008. Between them, the two classes work virtually all freight traffic in the area.